Move-in ready 3br/2ba spacious floor plan is waiting for you to call it HOME! 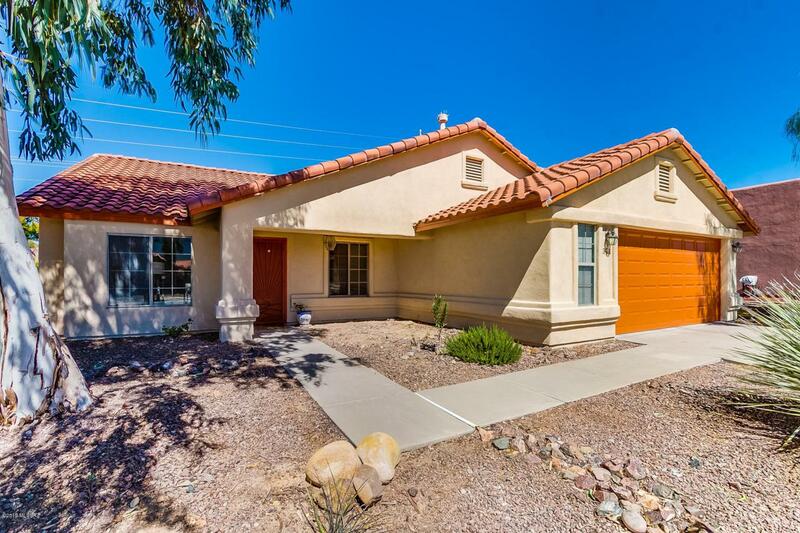 !Spacious and comfortable one-story home in desirable Oro Valley neighborhood! 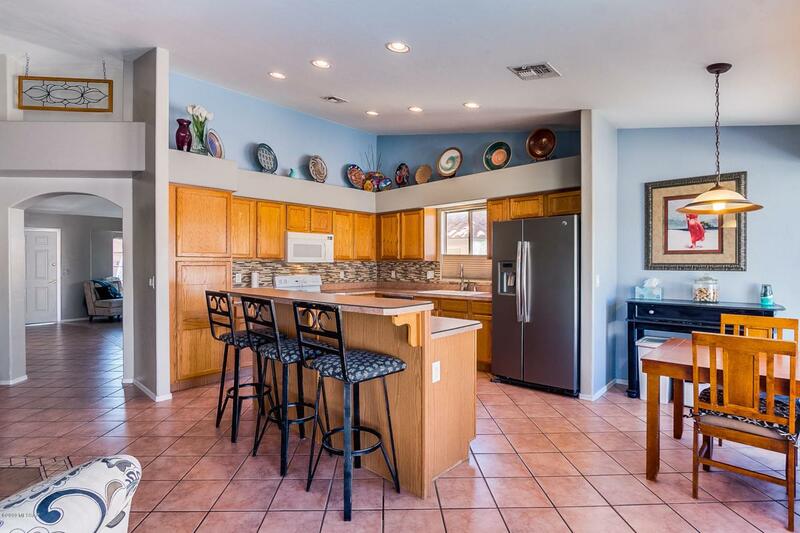 Quiet cul de sac with picturesque Mountain Views! Enjoy the large master bedroom with enormous walk-in with closet system and spa like master bath with garden tub and shower. 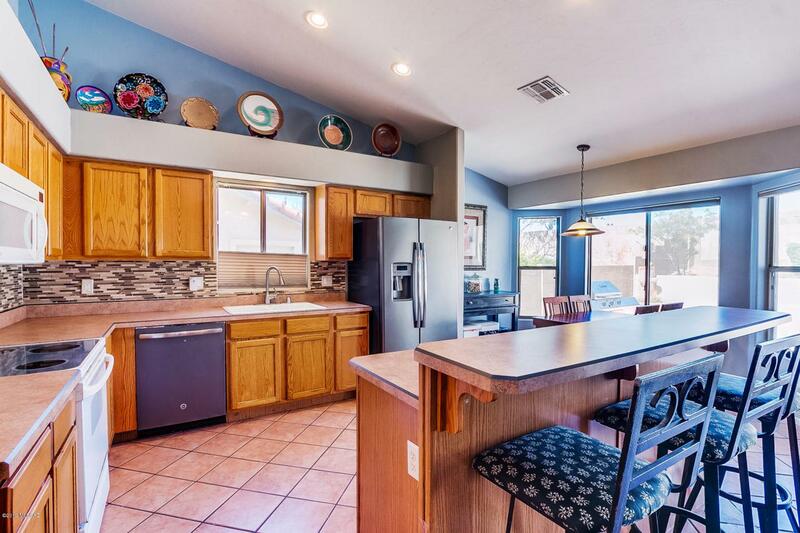 Open kitchen with oak cabinets and breakfast bar opens to spacious living area with vaulted ceilings leading out to the backyard oasis complete with covered patio, flagstone and tiered landscaping. Both of the other oversized bedrooms boast walk in closets with systems as well. 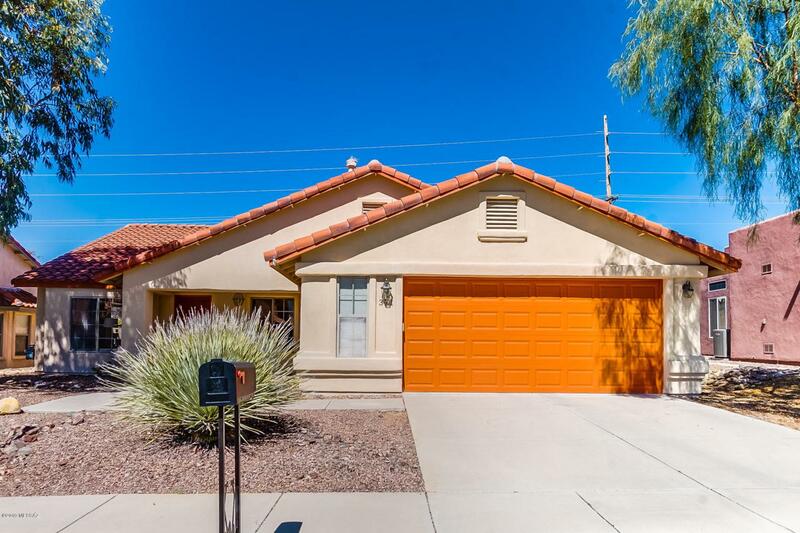 Features include fresh paint, updated fixtures, tile and engineered wood flooring, oversized garage with storage systems. Come view today and make it yours!